Putrada Ekadashi is one of the most significant and vital observances dedicated to the deity, Lord Vishnu. The rituals of this festival are usually performed by the married couples. Married women who want to have a baby boy observe a Putrada Ekadashi fast and also perform various rituals associated with the festival to seek the divine blessings of Lord Vishnu. When is Pausha Putrada Ekadashi Celebrated? Putrada Ekadashi is celebrated twice a year. 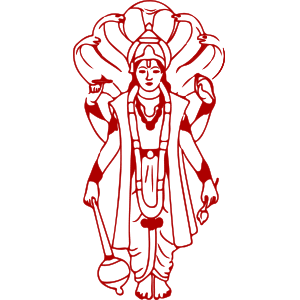 The eleventh tithi of every Hindu month according to the Hindu lunar calendar is called as the Ekadashi. The first Putrada Ekadashi is called as Pausha Putrada Ekadashi or Paush Shukla Putrada Ekadashi which is celebrated either in January or December month according to the Gregorian calendar. And the second Putrada Ekadashi is called as Shravana Putrada Ekadashi which falls in the month of August or July as per the calendar year. What is Pausha Putrada Ekadashi Vrat Katha? As per the legend, the king of Bhadravati named Suketu Man and his queen Habiya were not happy and remain depressed as they did not have any boy child. They were too worried thinking about the Shradh rituals as who would perform the Shradh rituals after their death to make their souls rest in peace. In such frustration, the King left his kingdom and all his luxuries and went to the dense forests. After facing many hardships and wandering for so many days, on the day of Paush Ekadashi, he reached the ashram of few sages residing on the bank of Mansarovar. The sages after knowing about the King, suggested him, to observe a Pausha Ekadashi fast to get blessed with a son. By following the advice of the learned sages, Suketu Man went back to the Kingdom and along with his queen observed a strict fast of Pausha Ekadashi. Soon, both of them were blessed with a male child by the divine blessings and grace of Lord Vishnu. The observers must refrain themselves from consuming all type of grains and rice too. If the couple has progeny issues or they do not have any child then both the wife as well as the husband must fast together and should worship Lord Vishnu jointly. All the puja and rituals must be concluded with Aarti of Lord Vishnu.